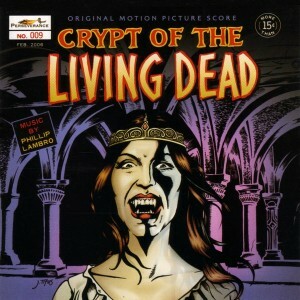 His Crypt of the Living Dead score one of the most unique and remarkable horror film scores you’re likely to hear. While eclipsed by the death of James Horner the following day, recognition is due for the death of composer Phillip Lambro, who passed away on Sunday, June 21st after suffering stroke last April. Lambro, a classical composer whose works have been performed by some of the world’s premiere symphony orchestras, composed a handful of motion picture scores during the 1960s and 1970s, including the original, unused score for Polanski’s CHINATOWN. Born in Massachusetts in 1935, Lambro began studying music in Boston and Miami, and received a scholarship to California’s Music Academy of the West, where he studied with György Sandor (Bartok’s most celebrated pupil) and Donald Pond. His compositions came to the attention of renowned conductor Leopold Stokowski, who programmed his material for performance by the Baltimore Symphony on two separate occasions. In his early 20’s, Lambro was one of the youngest composers to receive such an honor. In 1964, Lambro decided to try his hand at film scoring when he saw how lucrative show business was for a composer. Even though he had achieved notable critical acclaim as a composer, Lambro was having a hard time making ends meet financially through those commissions. Lambro’s luck would have changed had the score he composed for Roman Polanski’s 1974 noir thriller CHINATOWN stayed in the picture. When Polanski was making the film notion was to have his Polish friend Krzystof Komeda score the film, as he had ROSEMARY’S BABY and most of the director’s earlier films; but Komeda died suddenly in 1969 and Polanski lost his friend and composer. When he came to CHINATOWN, Polanski discovered a classical LP that Phillip Lambro had done, and found that its mood fit his picture perfectly. Polanski got in touch with Lambro and brought him into the production to write an original score. Lambro finished recording his score, both Polanski and producer Robert Evans were very pleased, and Lambro was working on some additional cues when that oft-repeated event happened: a preview screening attended by a mostly teenaged audience didn’t respond to the film positively and studios did what they usually do in such cases – blame the music and toss the score, hoping a new musical approach will save the day. Lambro’s close working arrangement with Polanski over to months to develop the kind of score the director wanted ended with Polanski having to reluctantly abandon his music. 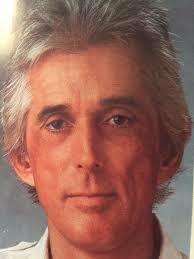 But it’s an earlier score that I feel really sets Phillip Lambro apart. The film itself is one of those murky mélanges that Lambro was talking about – mediocre. But his score remains a remarkably potent and sonically frightening film score, one of the best of its era. The film was CRYPT OF THE LIVING DEAD (1973), known in England as VAMPIRE WOMAN, alternatively pluralized as VAMPIRE WOMEN in the USA, and reissued in the USA on DVD under its original filming title of YOUNG HANNAH: QUEEN OF THE VAMPIRES. It actually began as a Spanish horror film written and directed by Julio Salvador, entitled LA TUMBA DE LA ISLA MALDITA (Tomb of the Cursed Island). Along the way, the film morphed into an American film, with Ray Danton brought in to complete the film, suitable for American release. Danton took Salvador’s footage and script and tried to make sense out of it for an American audience, restructuring the film and shooting new scenes, careful to make them fit as closely as possible to the original Spanish footage. When he was done, Lambro was brought into the project by his agent, and made the film come to life with one of the most unique and remarkable horror film scores you’re likely to hear. He completely circumvented the traditional Hollywood film scoring fashion and crafted a strikingly strange, aurally chilling, and aggressively atonal ambiance that literally gave the film its only real semblance of suspense and spookiness. In this case, Lambro literally established musically what was not on the screen! His instrumental textures are primarily atonal, layered in rhythmic patterns, often driven by a percussive pulse that gives the suspense a palpably organic feel. It’s an uncompromising fusion of percussive and tonal sounds treated atonally, sounds calculated to achieve a disco mforting and frequently scary musical design that, within the film or without, apart from its celluloid flesh, remains persuasively and uneasily spooky. Lambro completed his last film score in 1976, a gory slasher taking place on a yacht, called BLOOD VOYAGE (aka NIGHTMARE VOYAGE); it was a compiled score he put together out of some of his concert and pop music compositions. Fast-forward three decades and, to his surprise, Lambro finds renewed interest in his film scores when Perseverance Records releases four albums of his film music – including the previously unreleased CRYPT OF THE LIVING DEAD and his rejected CHINATOWN score (under the album title of “Los Angeles 1937”). In 2007, Lambro’s memoirs, Close Encounters of the Worst Kind, were published. Lambro had been hospitalized since last April, the stroke leaving him unable to speak and with limited use of his left arm. When he died last Sunday at the age of 80, he left a legacy of music, and one especially potent horror score, to be rediscovered. He is survived by a brother.